Over the years, the Outstanding Chapter Awards have recognized chapters that demonstrated excellence in chapter performance. Since 1995, an additional benefit to receiving an Outstanding Chapter Award is the ability to award an additional Beta Gamma Sigma Scholarship to an outstanding student member from the chapter. Collegiate chapters have been active and earned highest honors are eligible to showcase their achievements in the Outstanding Chapter Awards process. The Outstanding Chapter Awards have been and will continue to be given to the chapters that best support the mission of Beta Gamma Sigma. 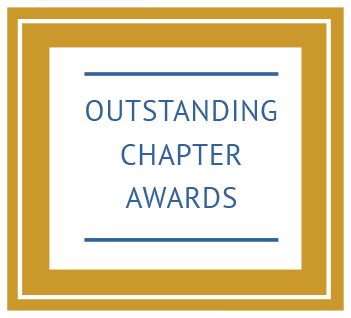 Beta Gamma Sigma invites our Highest Honors Chapters to nominate their Chapters to be honored as a recipient of the Outstanding Chapter Awards. Saint Joseph’s University has been recognized as the 2019 Gold Chapter and has been awarded a 1500 USD scholarship for one outstanding chapter member. This is the highest honor a collegiate chapter can receive. Brock University has been chosen as the 2019 Silver Chapter and has been awarded a 1000 USD scholarship to provide to an outstanding chapter member. The 2019 Best Practice Chapters have each been awarded a 500 USD scholarship for one outstanding chapter member. A special "thank you" to our business school deans and chapter advisors who make these BGS recognitions possible.